You’ve hired a contractor to complete the work, but what happens if they default last minute? Optisure Risk Partners can help protect your investment with surety and fidelity bonds. Bonds are a critical part of a successful risk management strategy for many companies. Whether it’s required by city or state, or you just want to make sure you’re fully protected, there are a variety of types of bonds available to help cover your project investments in the event of loss. It is critical to find the appropriate bond coverage based on your industry’s compliance requirements, as well as what your business does and how they do it. Our staff of highly qualified insurance professionals specializes in finding you the right type of bond coverage for your specific business needs. Our bid bonds offer peace of mind and financial security when accepting a contract bid proposal. If you’re working on a subdivision, our coverage protects against potential claims in the form of completion/subdivision bonds. For those looking to get licensed for government work, we offer license and permit bonds to help you get up and running. We can help you ensure that the wishes of the deceased are carried out as indicated in the will. We offer ERISA bonds to ensure coverage from fraudulent and other dishonest fiduciary acts resulting in a loss of retirement plan assets. We offer performance and payment bonds to ensure all parties are paid, and that the work is completed as agreed. When you need added assurance that a financial obligation will be met, our financial guarantee bonds will cover all debts. We provide court bonds to keep you protected from a financial loss after a court ruling, or to ensure court-appointed obligations. For banks and other financial institutions, Optisure offers bond solutions for protection against robbery and other crime exposure. Our janitorial and other service bonds offer improved marketability and added assurance as a provider of reliable services. 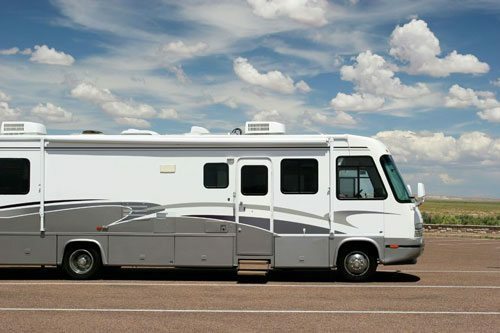 For the everyday adventurer, consider recreational vehicle insurance. Optisure Risk Partners also offers specialty insurance solutions for those in need of coverage for off-road vehicles, boats, RVs, and other recreational vehicles. We understand the importance of protecting your recreational investments, so they are there for you and your family and friends to enjoy.